Do you feel like you carry all your stress and tension in your neck and shoulders? Neck pain is a very common, but often very painful condition. A simple test to determine if you suffer from neck pain that may lead to even further health conditions is to test your range of motion. Look down at your chest, now look up at the ceiling, finally turn your head to the right and left. If you said “ouch" while you where performing these simple tasks, This Is Not Normal! Neck pain can be directly linked to subluxations (spinal misalignment). Chiropractic physicians are trained extensively in the diagnosis and care of neck pain conditions. Do you ever wake up in the morning and feel nagging back aches? How about after a long days work? Does your low back keep you from doing your job, enjoying your hobbies, or playing with your children? If you answered yes to any of these questions “You Are Not Alone!" 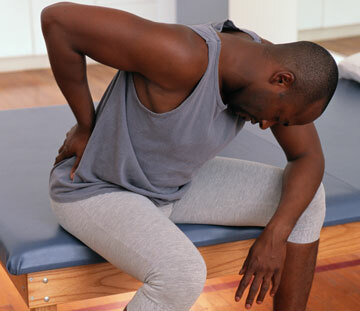 Low back pain is one of the most common health problems in our society today. It has resulted in thousands of lost hours at work, and even greater time lost with family and friends. Chiropractic physicians are trained extensively in the diagnosis and care of low back conditions. The average person should only have one headache every three to four months. People that suffer from headaches try to mask their pain with aspirin, Tylenol, and sometimes even stronger medications that only give temporarily relief to their pain. Headaches have been directly linked to subluxations (spinal misalignments), muscle imbalance, and nerve irritation. Chiropractic physicians are trained extensively in the diagnosis and care of headache conditions. If you suffer from headaches everyday, once a week, or even once a month, your body is telling you Something Is Wrong, and chiropractic care has had proven success with eliminating headaches! 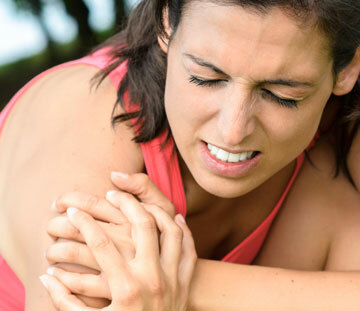 Our doctors at Well Being Chiropractic experienced in the diagnosis and care of sports related injuries. As chiropractors we understand what the body goes through when competing in sports. The growing interest in physical fitness has put an increased emphasis on maintaining a healthy body and its ability to function at a high level. When a injury occurs, whether from spraining an ankle on the basketball court or injuring your back playing golf, the biggest question an athlete will ask is “When can I play again?" Chiropractic physicians are trained to know the limits of the human body. Stress can be physical, chemical, or emotional in origin. 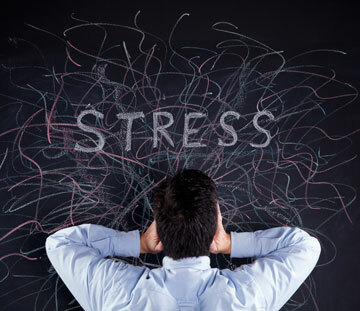 This stress has a damaging effect on a person’s health and nervous system. When the body is overloaded with stress it cannot function at a proper level, leading to Malfunction. Depending on the area and extent of this malfunction, your body breaks down and symptoms like the ones mentioned above appear. Stress is unavoidable, but this does not mean stress can not be manageable! If you suffer from one or more of the above conditions stress can be the underlying cause and preventable. Chiropractic physicians encounter stress related disorders everyday, and have great success minimizing and even eliminating stress related conditions. Sciatica is the term for a irritated or inflamed nerve that originates in the lower back that travels down the back of leg. This irritation can be caused by a number of different conditions that chiropractors are trained to diagnosis and treat. Sciatica can be caused by Subluxation (spinal misalignment), muscle imbalance, nerve entrapment, nerve impingement, and disc problems. Chiropractic care successfully treats sciatic pain by not only minimizing the obvious symptoms, but by determining and eliminating the underlying cause of the problem. Sciatica can be a very painful and debilitating condition, and if not properly addressed can lead to permanent Nerve Damage. Intervertebral discs (AKA: “shock-absorbers" of the spine) are the cartilage cushions located between the vertebrae (bones) of the spine. Discs can become inflamed, irritated, bulging, and even ruptured if the spine undergoes even the most trivial of traumas. The most common signs that a person may be suffering from a disc problem are numbness and tingling through their arms and legs, often accompanied by sharp shooting pains. Discs that are bulging or pinching on a nerve exiting the spinal column can be a very serious condition directly linked to subluxations (spinal misalignment). Often diagnostic imaging in the form of x-rays and MRI’s are needed to properly diagnosis a disc problem condition. Whiplash is the more common term used to describe a Cervical Acceleration / Deceleration Injury. When an automobile is hit from either direction, the impact forces the unprotected head and neck into a “whipping" motion, resulting in serious injury. Unlike chronic injuries, whiplash is a very acute and painful condition that cannot be avoided. Statistics say that every person will be in at least one automobile accident in their lifetime. Regardless of the extent of the accident, whiplash can have a lingering effect on one’s cervical spine (neck). Even if pain is not an immediate symptom, the damage done to the spinal cord and nervous system can go undetected until a chronic condition results. Scoliosis is defined as a lateral curvature of the spine, and is directly linked to subluxations (spinal misalignment). One of the most common symptoms of scoliosis is chronic back pain, but an even more chronic situation can occur: Loss of Function. When scoliosis effects adolescents it is crucial that measures be taken to halt the progression of the condition. Chiropractic doctors are trained to detect and stop the progression of this condition so future health problems can be prevented. When adults are faced with scoliosis the best care of choice is spinal adjustments to help restore proper Function and physical therapy to strengthen the muscle tone of the back to stabilize the spinal column. The best care for a scoliosis condition is Prevention. Do you have numbness and tingling in your hands? Is the strength and coordination in your hands weaker then normal? You may be suffering from a condition called carpal tunnel syndrome. Carpal tunnel syndrome is a condition of nerve irritation that is directly linked to repetitive stress injuries. Secretaries, office desk workers, manual laborers, athletes all use their wrists & hands and all are susceptible to carpal tunnel syndrome. In the past the only care for this painful and aggravating condition was surgery. The biggest obstacle that chiropractic doctors are faced with regarding carpal tunnel syndrome are the people that wait too long to address their condition.